Mill Street was very steep and narrow in the early 1800s. Near the top of the hill, beside the workhouse, on the corner of Church Hill, was the town pump, where people used to go with their pails and gossip “as they do at fountains abroad”, according to Richard Holbeche. Idlers here were often entertained by the spectacle of coaches struggling to get to the top, and even more by the coaches that nearly came to grief on the perilous descent of the hill. The road was improved in 1824 when the gradient was eased by making an embankment at the bottom of the hill and a cutting at the top. These 1824 improvements also widened and straightened the road, the Turnpike Trust having obtained power by Act of Parliament to deal with property that was in the way. On the left-hand side going up the hill the landowner was Emmanuel College, Cambridge, and the road improvement took in part of a garden and a stable. The Warden and Society of Sutton owned the land on the right-hand side, where most of the obstacles were. Richard Grange’s house, widow Farmer’s outbuildings and Thomas Norris’s pigsty were all demolished, Joseph James lost part of his garden, and the strip of garden in front of the old workhouse was also taken. The land on the right-hand side of Mill Street was higher than on the other side, and the road works, added to the effect of centuries of traffic cutting into the soft sandstone, left a low wall of rock half way up the hill, (a similar feature can still be seen in Somerville Road at the corner of Wyndley Lane). 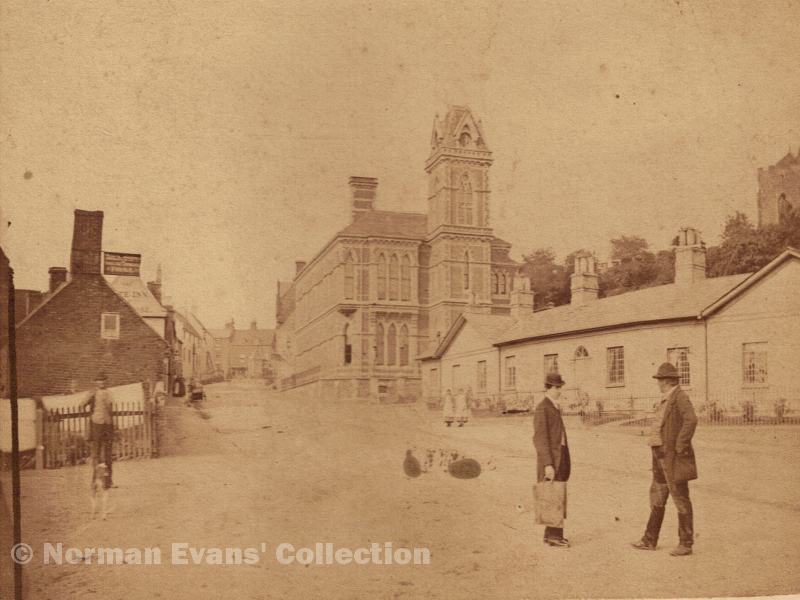 Some of the buildings on the right-hand side of Mill Street stood well above the road level - one of them was the policeman’s house with the town jail adjoining. These houses could also be approached from Church Hill, which was then a twisting lane connecting Mill Street and Trinity Hill. This lane is still a public right-of-way, and as you walk along it you can appreciate the changes that have been made to the levels. The site that included the old jail and the rocky bank was chosen for building a new Town Hall for Sutton Coldfield - it opened in 1859 and is now the Masonic Hall. In 1858 Sarah Holbeche mentions the “space gained by the blasting of rock away” at the site of the town hall. With the removal of this bank of sandstone, the transformation of Mill Street was complete.